618 Mtn Village Blvd. – A departure from a single family home, the clients bought this 2 story, unfinished shell, penthouse apartment. 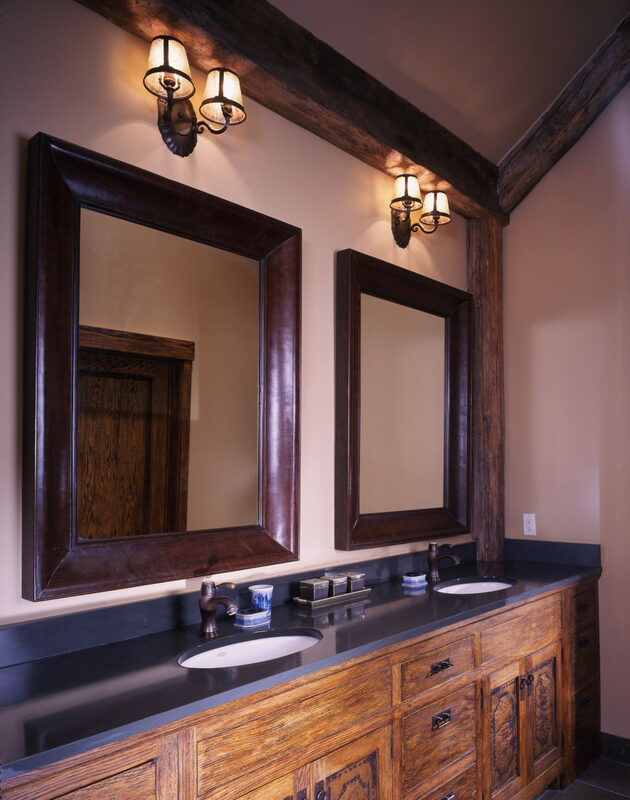 Above all they wanted a rustic design with the convenience of condo living. 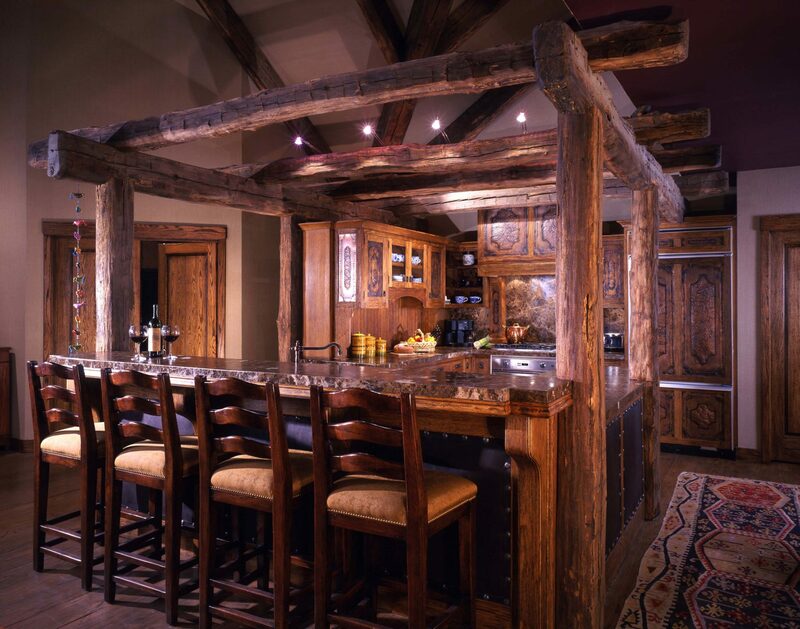 In fact stone, timber framing and high end finishes gives you the feel of a Telluride mountain home. 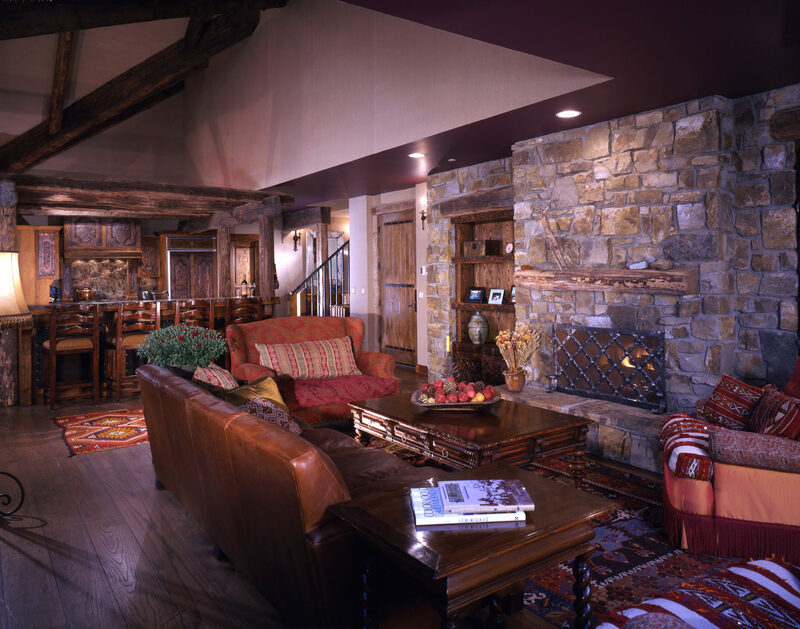 This residence provides a traditional style space with a relaxed alternative to city living. Equally important is the location in the Centrum Building. It’s uniquely close to the Telluride Gondola, shopping and restaurants. 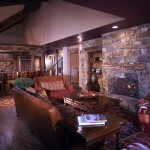 As a result, the owners have the advantage of nearby skiing and other activities. Furthermore there are many great views of the mountains and of the Town of Mountain Village. 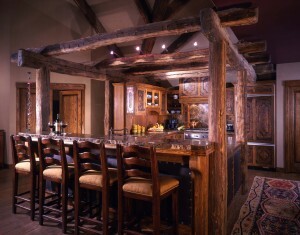 Notably the rustic wood structure in the kitchen is original timber post and beams. 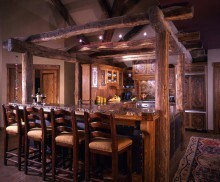 The timber framing adds an accent to the kitchen. Additionally, the timber is from a tobacco farm in Kentucky. At the same time, the timbers were used as drying racks for the tobacco leaves. Moreover the floor plan is open with easy access to the dining room and the living room from the kitchen. Also this provides the grand views of the San Sofia Mountain Range. This residence is located on the 3rd floor of the Centrum Building. For this reason it adds privacy to this exclusive penthouse condominium. Additionally located on the main floor are the master bedroom and master guest bedroom. On the second floor are the 2 bunk rooms plus 1 bedroom. All are coupled with private bathrooms. In addition this large condo contains a rec room and a secluded office. 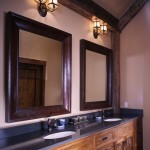 All rooms are designed in the mountain rustic style.